Volkswagen Polo 1.4 with an automatic transmission. The car has a profound technical specification, spacious interior, good noise insulation and capacious boot. This model drives smoothly on the roads with low quality surface and has a perfect steering system as well as a multistage automatic transmission. 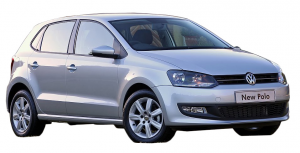 You can find some similarities between this car and Volkswagen Golf 1.4.